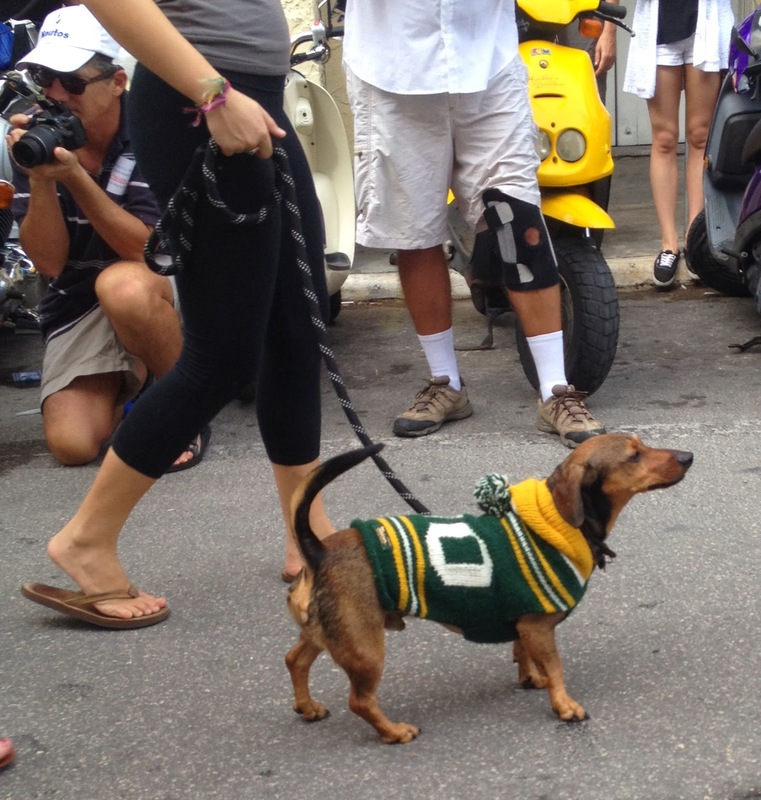 Hundreds of onlookers lined the one square block parade route at noon on New Year's Eve for the ninth annual Dachshund Walk. 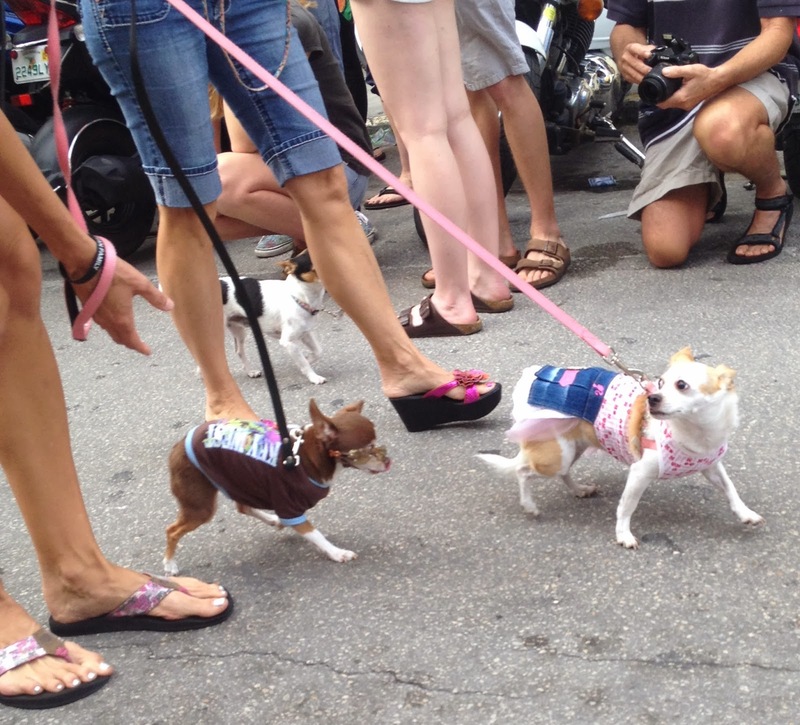 Approximately 170 dogs and about twice that many humans with stickers stating, "Walking in a Wiener Wonderland" paraded from the city Courthouse, up Fleming Street, a block down the famous Duval Street, then down Southard street and back to the courthouse. All-in-all, one complete square block, surely the shortest parade Key West has to offer ... perfect for short legs. 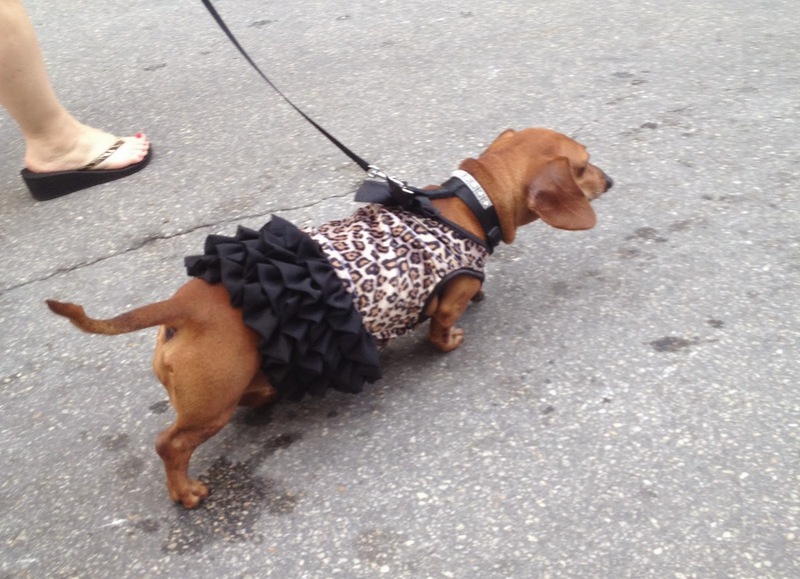 Many of the dogs were dressed in costumes ranging from frilly to clever. 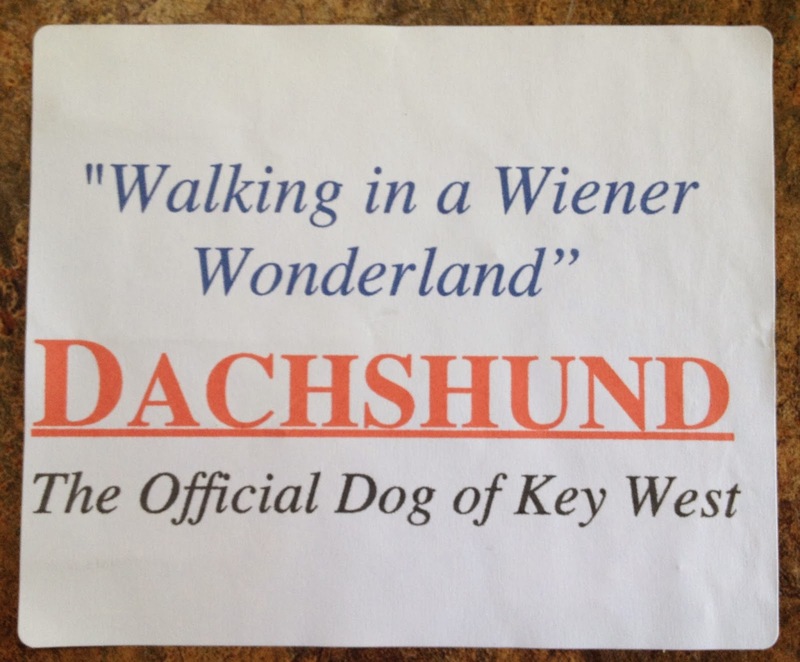 Besides the usual Dachshunds, the parade included a "Chihuahua Conch Republic Flash Mob," organized via Facebook that called upon "the Chihuahuas of Key West ... to stand up for equal representation as part of the Key West One Canine Family." Parade participants were encouraged to bring donations of dog food that's given to St. Mary's food pantry, which has been a hallmark of the main event for years. I hope you enjoy these photos. Happy New Year from Key West! 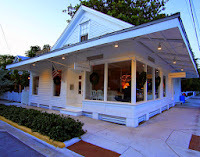 You can read the article in the Key West Citizen here.